Installing new siding can be one of the quickest ways to spruce up a home's exterior and reduce maintenance chores at the same time. Manufacturers like CertainTeed, Mastic and James Hardie offer vinyl siding and fiber cement siding products that require minimal upkeep--all you need is a water hose to keep them looking new. 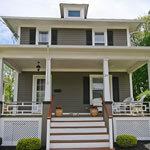 Most manufacturers offer different siding profiles, such as beaded, clapboard and Dutchlap to complement any home, regardless of age or architecture. 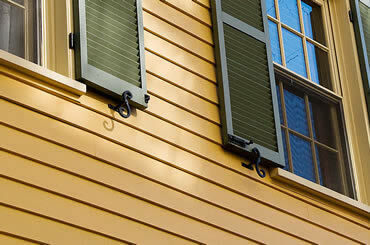 Siding installation normally takes two to three days, if you use a reliable contractor. 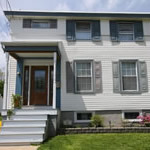 Let Home Improvement Center assist you with locating qualified contractors in your area, and finding great deals on fiber cement and vinyl siding products. Browse Home Improvement Center's informative articles, photographs and instructional videos to discover new ways to make all of your home remodeling projects, as low-maintenance and low-cost as possible.